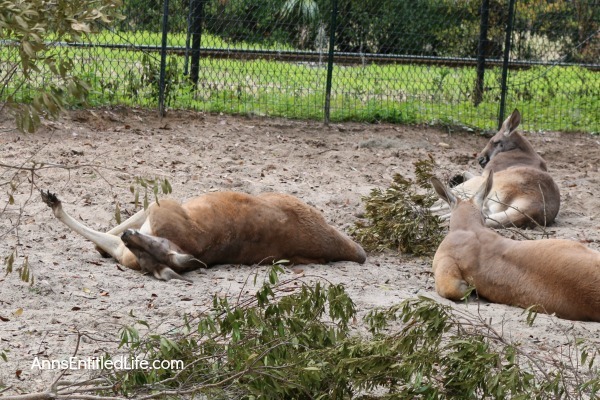 Photographs of the animals at the Jacksonville Zoo, as well as my review of my day at the Jacksonville Zoo and Gardens. My brother was in town last week. 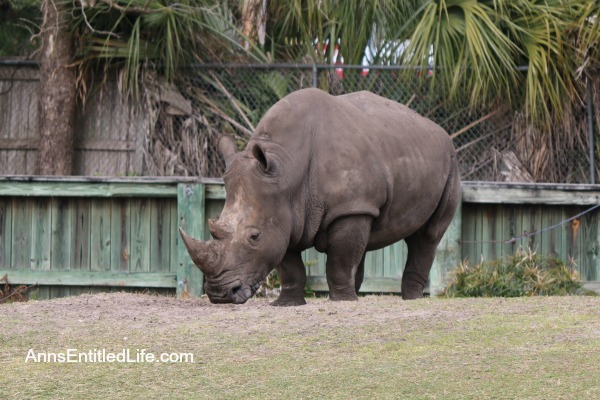 He had gone to the Jacksonville Zoo when visiting us in Florida last year, and urged us to go. Well, Hubby and I never did make it there, so when my brother and his girlfriend decided to go, Hubby and I decided to tag along. And we were very glad we did. 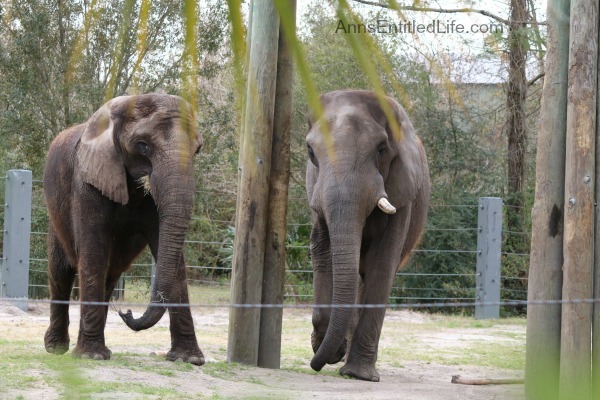 The Jacksonville Zoo basically had an exit off I-95 dedicated to it. But, once you get off you better slow down because the signage to get into the zoo is basically non-existent. There is no light for traffic, it is just an odd set-up. 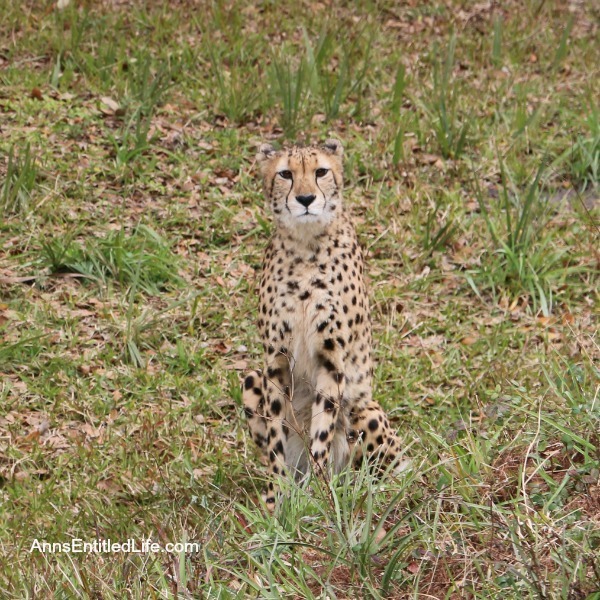 We turned onto the road leading to the zoo, and were shocked to not have to pay for parking! It was a very pleasant surprise. 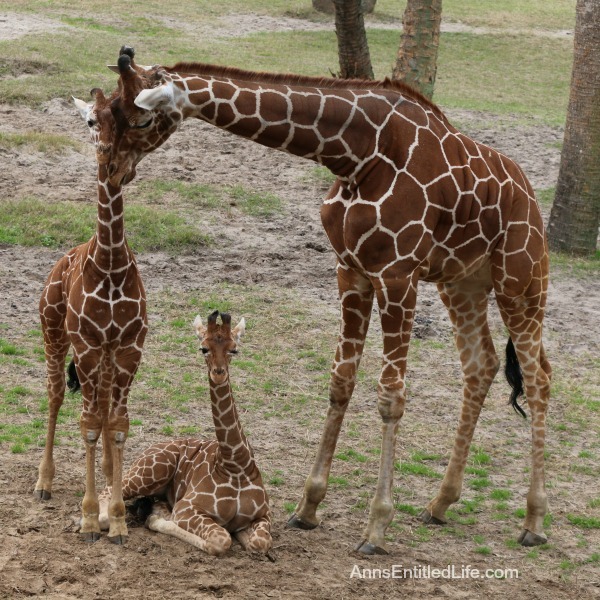 The Jacksonville Zoo is open 9-5 daily, except Christmas. They do reciprocate zoo passes. My brother has a Buffalo Zoo pass, and he received 50% off each admission ticket. Hubby and I used the B1G1 coupon in the Jacksonville entertainment book. Admission rates are listed here. 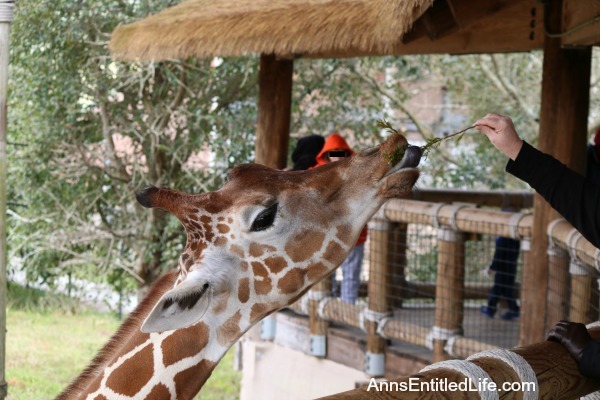 There are a LOT of “extras” to pay for including a train, Sea Lion Splash Experience, Stringray Bay, feeding the giraffes, if you want. No one thing is expensive, but if you have a large family those extra $2 could add up. 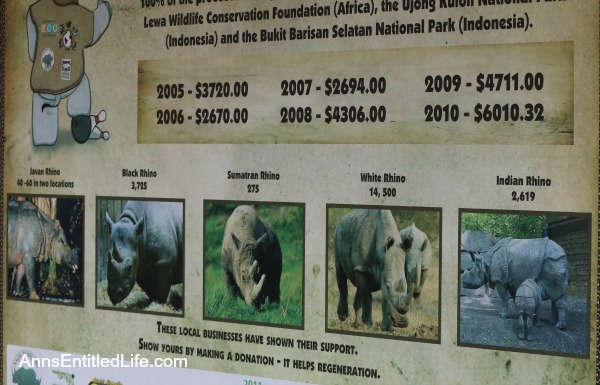 After we paid our admission, we walked right in and decided to head over to the rhino exhibit, and on to elephant park. 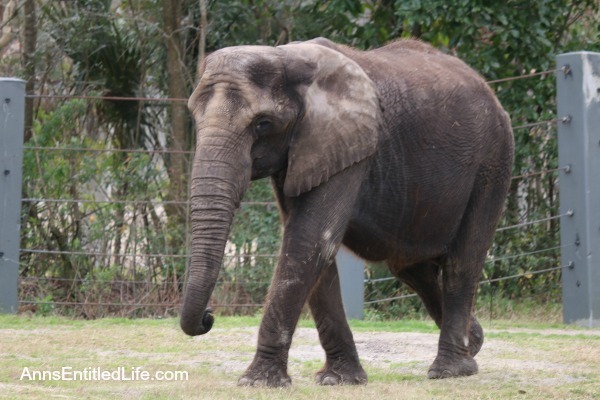 The Jacksonville Zoo covers over 100 acres, so you do get a workout. 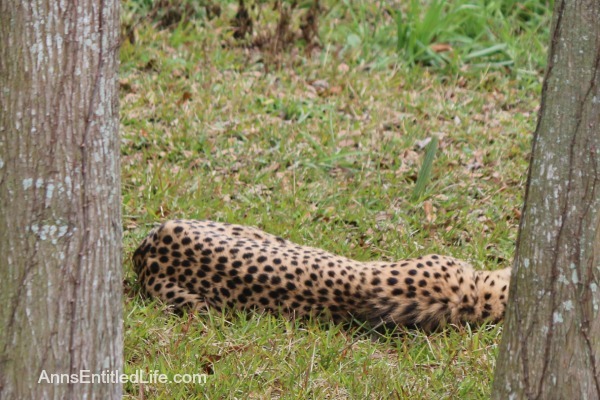 Most of the exhibits are pretty close to one another except the Range of the Jaguar (we walked all that way and the Jaguars were too cold to come out… what is it with 60° being considered cold in Florida!? ), and the Land of the Tiger being off the beaten path. The Tiger exhibit was totally worth seeing!! 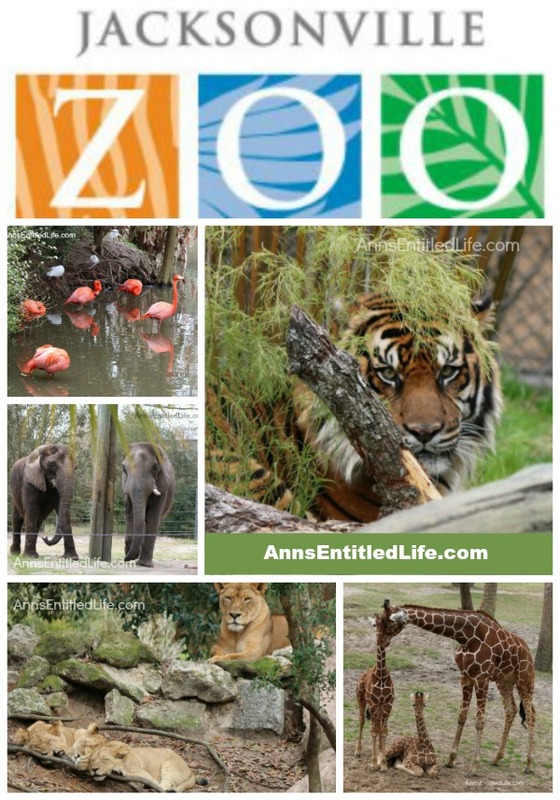 Here is the exhibit list, and on that page is the list of animals in the Jacksonville Zoo. I took 350 pictures!! If those Jaguars had been out, it probably would have been 500 photos. We were at the zoo for a little over 3 hours, and did not see everything. 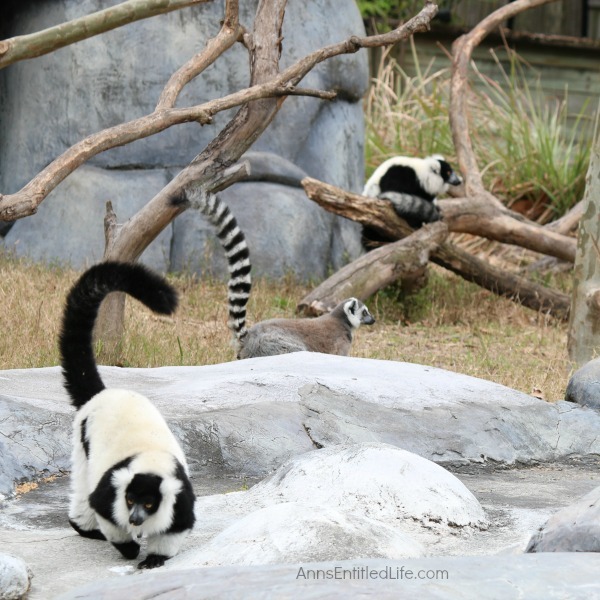 You could easily spend the entire day at the Jacksonville Zoo. 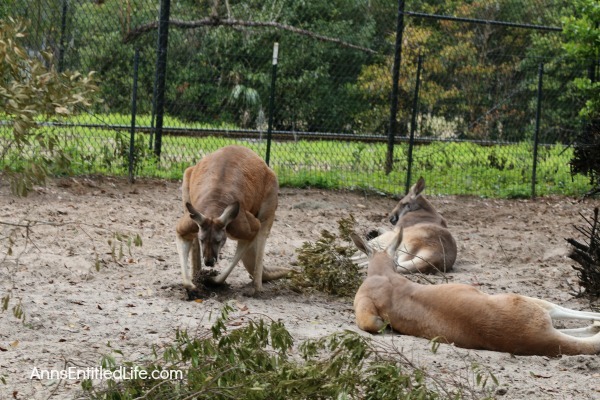 Here are a few of the photographs I took while at the Jacksonville Zoo. This guy was lounging at the back fence. But this guy was very alert! Clearly alert took a lot out of him, because on our way back from seeing the elephants, I noticed he was asleep. 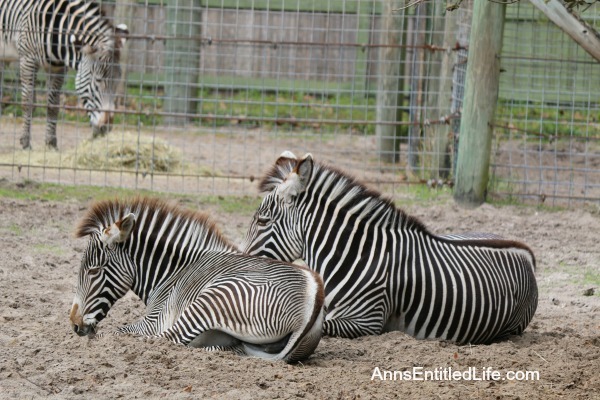 These zebra never moved, and we passed them a few times!! 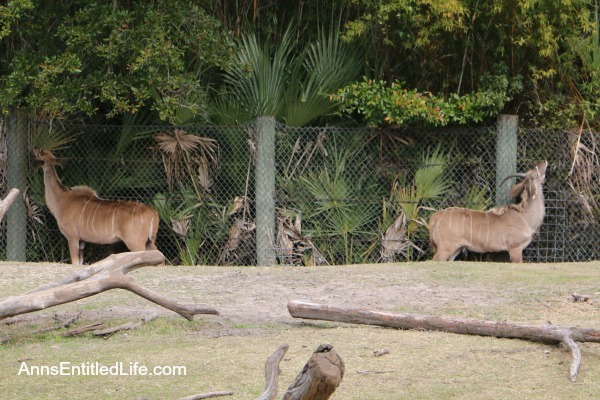 Next to the rhinos, is a Kudu/Ostrich Exhibit. Notice the unsanctioned snacking going on? That is gonna be a common theme in these photos. The rhinos were cool. I was surprised they had their horns, especially when I saw a bit of sparring going on between two of them. It is all fun and games until somebody gets hurt. This guy spent quite some time ripping out some shrubs over the fence for a late morning snack. Apparently the hay available wasn’t doing it for his palate. I took a photograph of the trunk holding, but unfortunately all the foliage in the way made for a crummy picture. Darn. 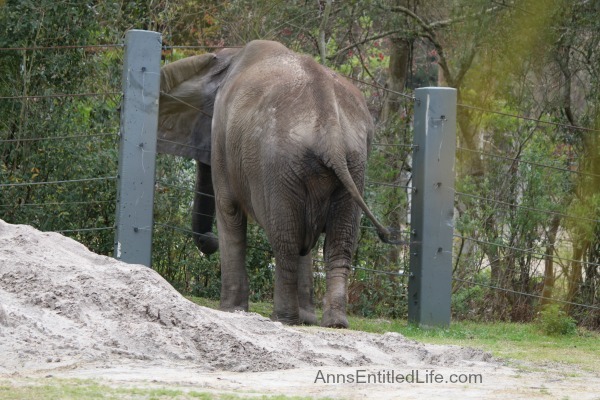 After the elephants, we had to back track out as they were repairing something or another. 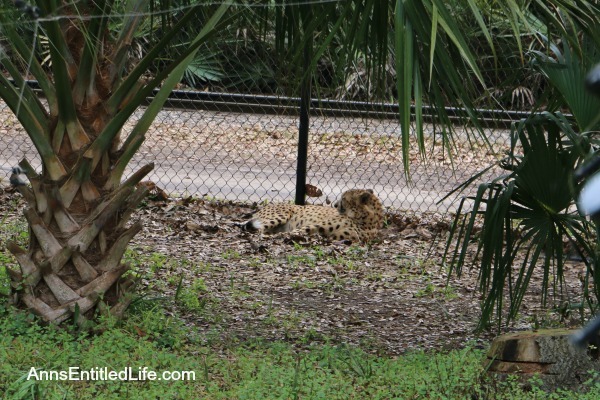 We spent some time observing the leopards (in a large enclosure). They were preparing for mealtime. 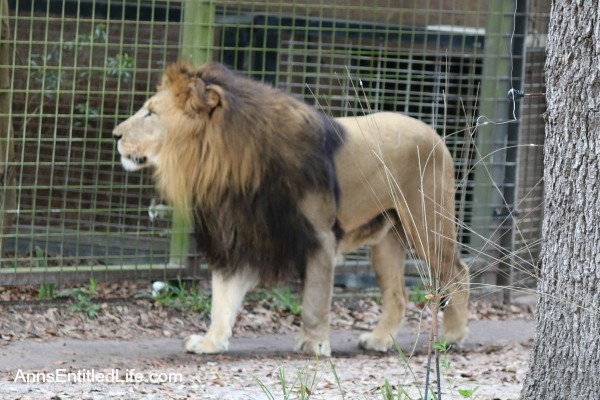 Daddy lion was pacing the fence for food. 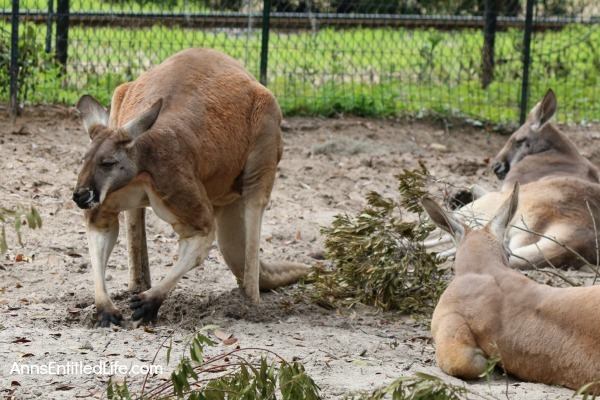 I wouldn’t want to be the zookeeper that was late with his meal! 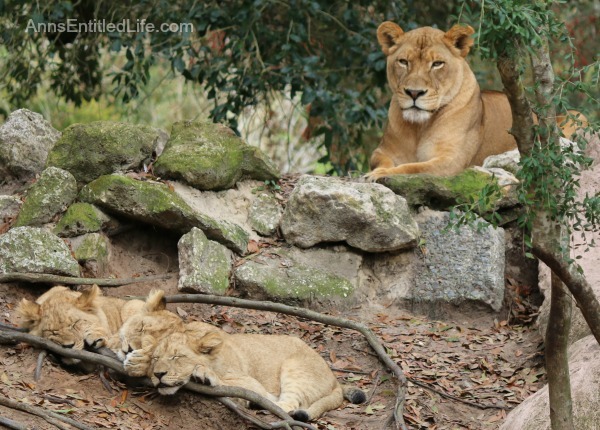 While lioness mama kept watch over her sleeping brood. Aren’t those three little lions adorable!? 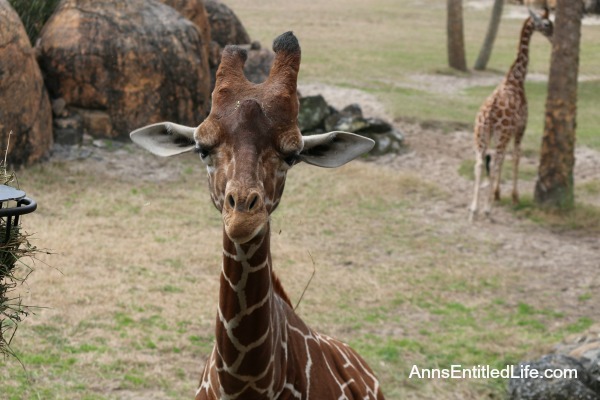 These giraffes had a lot of personality! For $2 you could feed them three greens (of some sort). 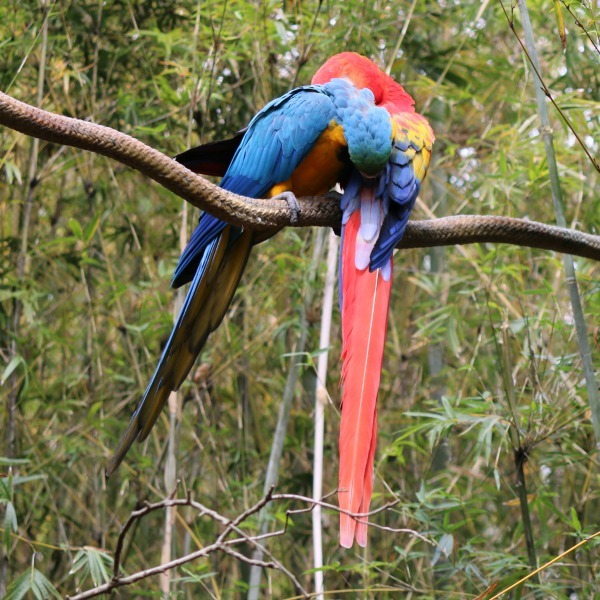 Their very long tongues came out to grab the offering most gracefully! When you were finished, there was a place to wash your hands. 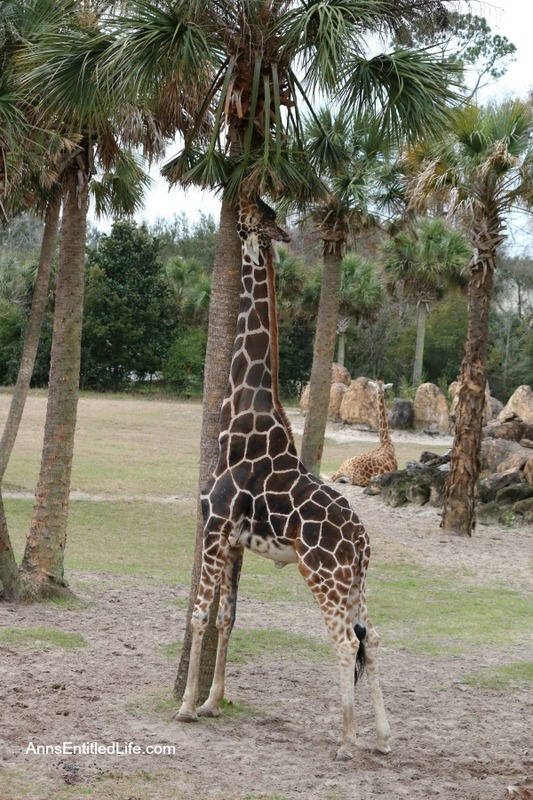 Instead of the feed boxes or people offerings, this giraffe preferred contraband. So it was on to the birds. 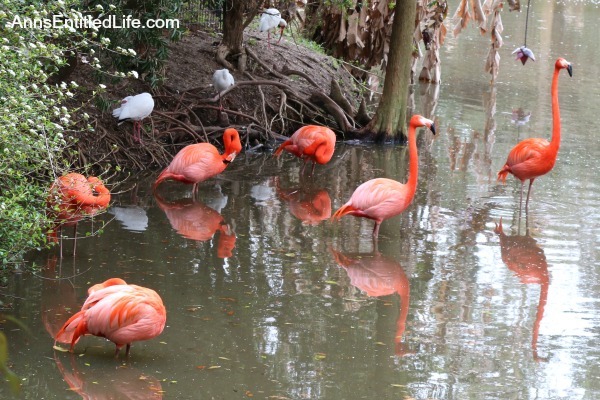 What would Florida be without flamingos? 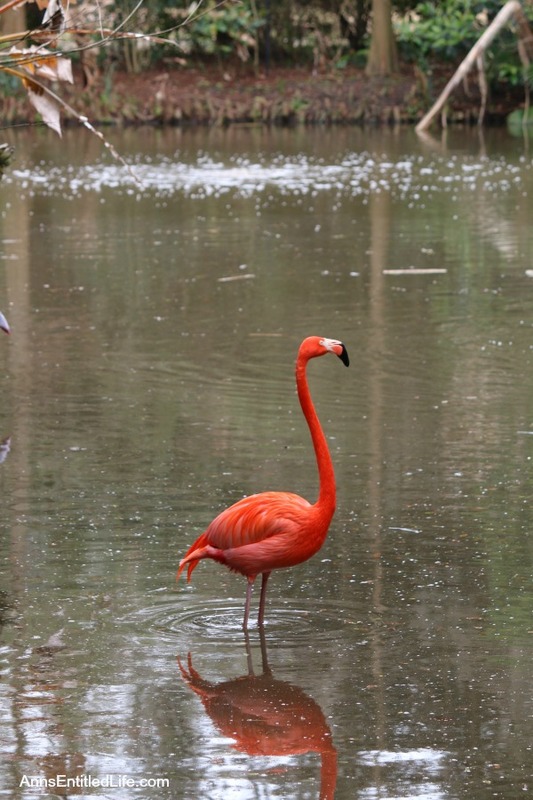 This pretty pink bird was in the bird aviary. 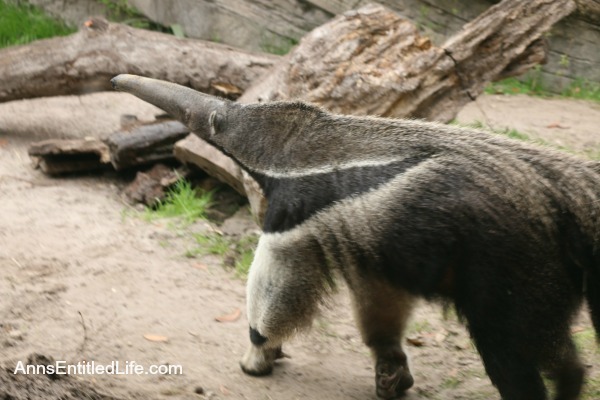 This anteater was one of the few animals out in the Range of the Jaguar area. 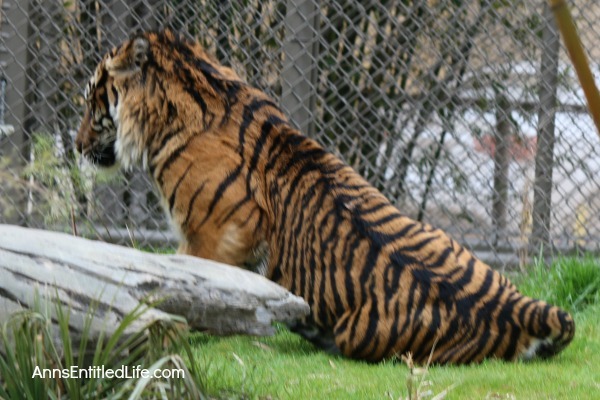 After that, we began the trek over to the tiger exhibit. Totally worth the walk. 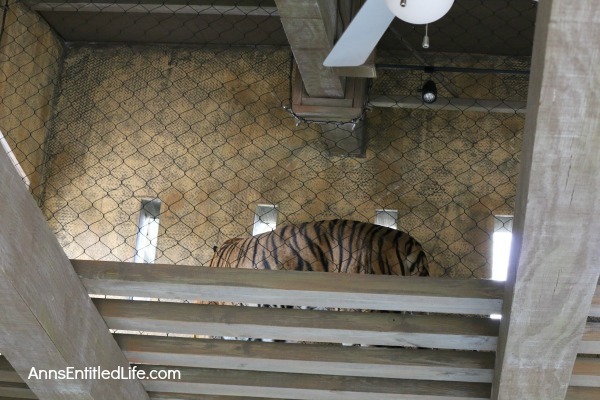 There is a walk-through trail system for the two Sumatran and three Malayan Tigers. 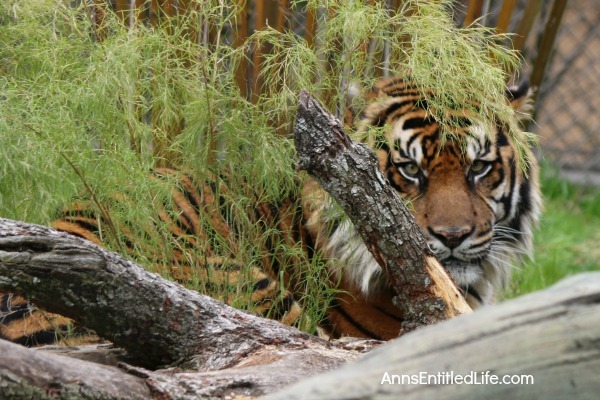 And he peeped at me from behind the log! He actually turned away a few times when he saw my camera (I swear! ), but I finally was able to take this photo. What that tiger did not know, was that there was an observer above! I had only seen red lemurs before, so I thought these guys were cool. 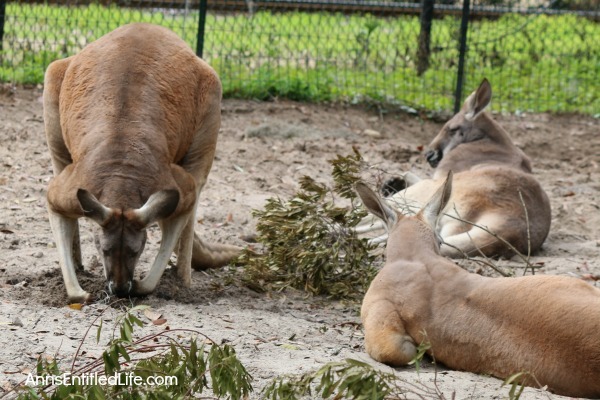 These kangaroos were a lazy bunch except for this lone industrious one! 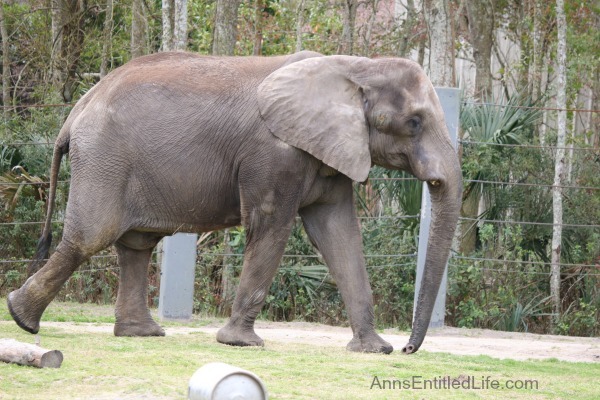 If you are in the Jacksonville area and are looking for a place to spend the day, the Jacksonville Zoo is a very good choice, children or no children. 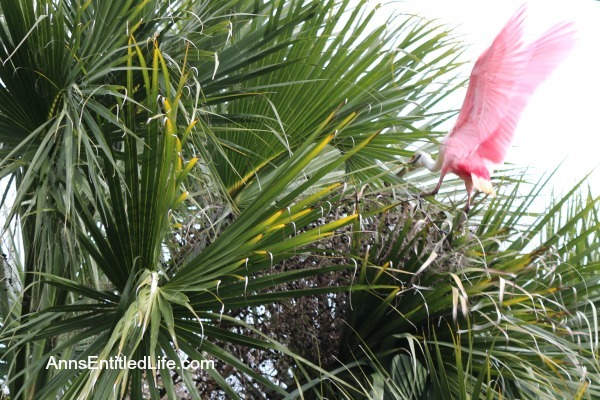 • For more Florida posts on Ann’s Entitled Life, click here. 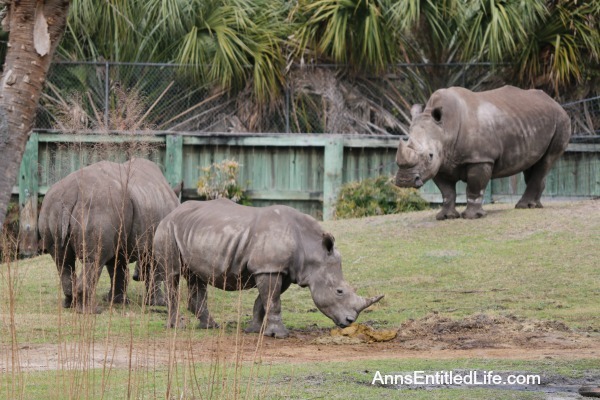 • For more Travel posts on Ann’s Entitled Life, click here.